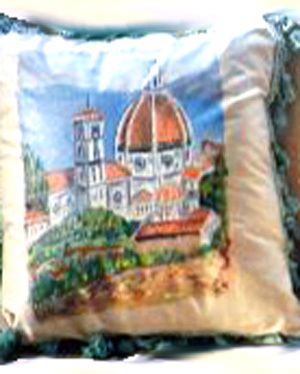 Hand painted pillows of the Duomo in Florence, Italy highlights the Italian colors of the Renaissance. 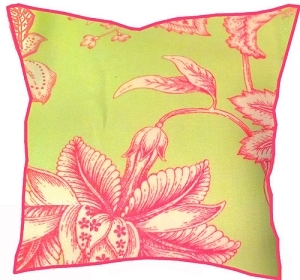 Our hand painted pillows capture the true essence of the Italian culture. These decorative travel pillows will definitely be a conversation piece in any home. People love to travel and we wil hand paint any travel destination that you like. Just email us a photo so that we can get the exact colors and details. 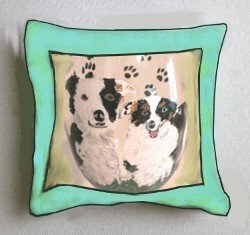 Our hand painted pillows make wonderful gifts or will add that special touch to your own decor.